Sometimes I’m lured into a store by one thing that catches my eye, only to discover upon entering that the store is actually a treasure trove containing a whole collection of things I suddenly must have – and that’s exactly what happened when I discovered Garbo & Friends. It was the Heaven In A Blanket cashmere and wool blend blankets that initially hooked me – cashmere is simply amazing for combining warmth and incredible softness without any cumbersome weight while the wool addition keeps excessive pilling at bay. 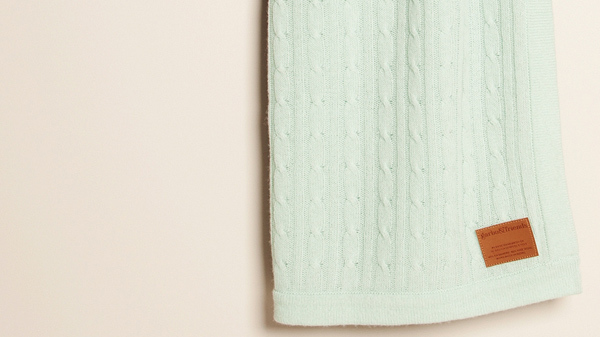 I’m a sucker for a classic blanket and it was love at first sight for the neutral Minty Fresh coloured blanket. Then I saw the coloured variety, and before I could close the tab on my browser it was too late, I wanted them all, though priced 1300KR (around AUD$200), it’s a hypothetical collection I’m working on. Blankets aren’t all that Swedish-based Garbo & Friends do exquisitely well, their bedding is sublime. 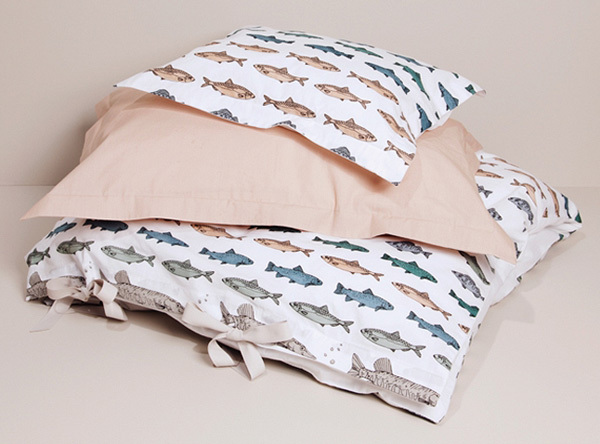 Imagine the delight of crawling into a bed made up nice and snug with a Sleeping With The Fishes set. Or perhaps it’s a couple of large Floor Cushions you require for a reading nook or maybe even a Sleeping Bag for a friend’s new baby… the list goes on – and it can all be found here at Garbo & Friends!